This is not your typical mermaid story! First of all, the protagonist is a guy. Second, his home waters are Lake Superior - the largest of the Great Lakes. Calder is a merman, but not by choice or by birth. Along with the daily struggles of not drying out, keeping his tail a secret, and feeding on the emotions of humans, Calder must return to his adopted sisters in order to exact revenge on the Hancock family and avenge their mother. Calder unexpectedly falls in love with Lily Hancock, who is not at all fazed by his being a merman. 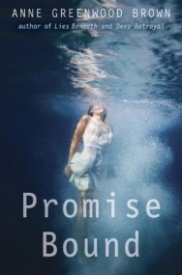 Calder must then balance obligations to his family, a merman's promise, and his newfound love for Lily. I absolutely loved this book. It really hit home because I vacationed at Lake Superior throughout my childhood, and I often imagined magical creatures and monsters below the waves. The writing was superb, the characters were fascinating and quirky and so very real. 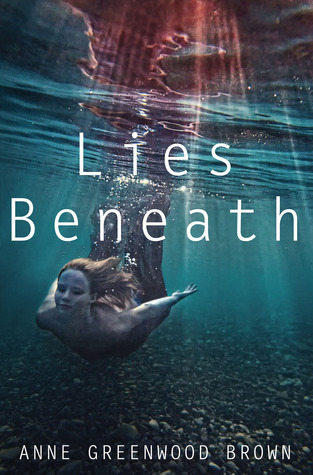 The biology and myth the author creates to explain her mermaids is believable and original. I would highly recommend Lies Beneath to anyone interested in folklore and paranormal YA from a guy's perspective. 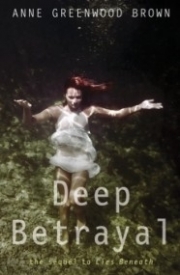 If you liked Lies Beneath then don't miss the last two books in the series, Deep Betrayal and Promise Bound.